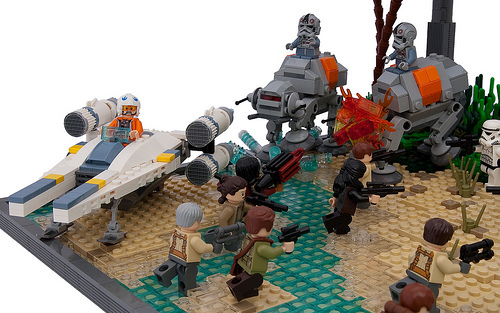 Rogue One continues to inspire new Star Wars LEGO creations. 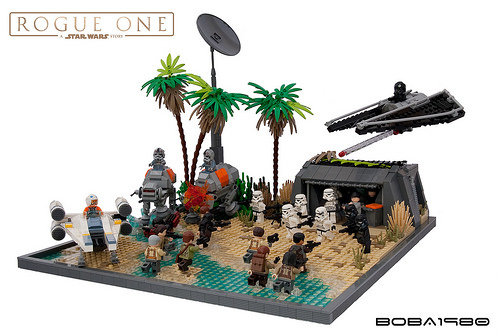 Check out this fantastic beach battle scene, lifted from the Rogue One trailer and “chibified” by Boba-1980. The microscale vehicles are really good — I particularly like the versions of the U-Wing and the TIE Strike Fighter. Aside from the good landscaping and figure posing, there’s a whole ton of action packed into a tight space in this diorama — justifying the builder’s choice to go with an unusual scale for the vehicles. Nice work.